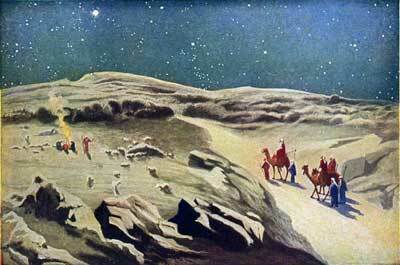 For some time after Jesus was born, Joseph and Mary stayed with him in Bethlehem. 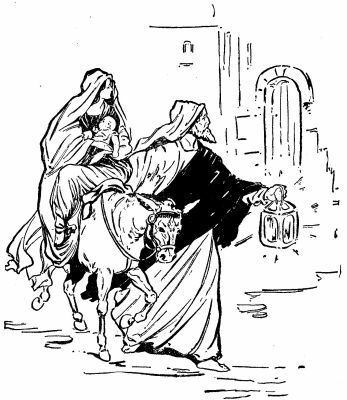 The little baby was not kept long in the stable sleeping in a manger; for after a few days they found room in a house; and there another visit was made to Jesus by strange men from a land far away. But no one of whom they asked had ever seen this king, or had heard of him. The news of their coming was sent to Herod the king, who was now a very old man. He ruled the land of Judea, as you know, under the emperor at Rome, Augustus Cæsar. Herod was a very wicked man, and when he heard of some one born to be a king, he feared that he might lose his own kingdom. He made up his mind to kill this new king. 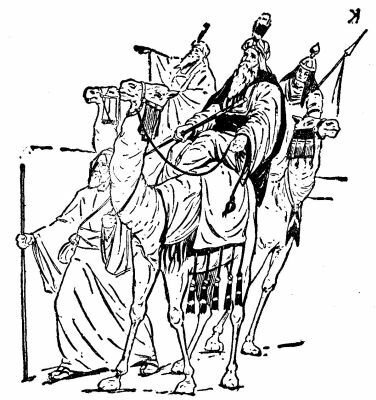 King Herod waited for the wise men to come back to him from their visit to Bethlehem; but he soon found that they had gone to their home without bringing to him any word. Then Herod was very angry. He sent out his soldiers to Bethlehem. They came, and by the cruel king’s command they seized all the little children in Bethlehem who were three years old, or younger, and killed them all. What a cry went up to God from the mothers in Bethlehem, as their children were torn from their arms and slain! He feared to go under Archelaus’ rule, and instead took his wife and the child to Nazareth, which had been his own home and that of Mary his wife before the child was born. Nazareth was in the part of the land called Galilee, which at that time was ruled by another son of king Herod, a king named Herod Antipas. He was not a good man, but was not so cruel nor bloody as his wicked father had been.